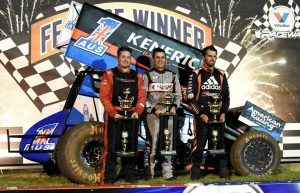 Kerry Madsen takes first step in retaining the A1 Plate | Talking Speedway, Speedway news from around the world! Along the way Madsen gathered a solid haul points to sit on top of the standing at the end of night from Jordyn Brazier and Jamie Veal. 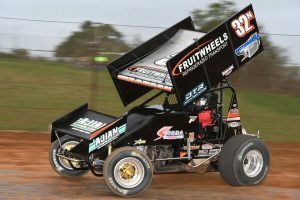 With back to back wins in the National Sprintcar Open against the Americans Madsen is perfectly primed to add a fourth Australian Sprintcar Championship to his impressive list of achievements . Night two of the Championship gets underway tonight with James McFadden, Brooke Tatnell and Robbie Farr all looking to add another Australian Championship to their resumes. Ian Madsen will be out to emulate big brother but there will be plenty of others with a night two win clearly on their minds.